The reason why you would want to patina your shoes (or darkening certain areas of the leather) is to allow a newer shoe to have the character of an older shoe without the wear. 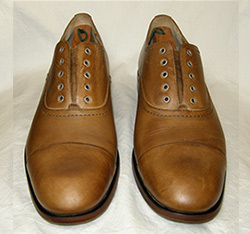 “Shoe antiquing” is the process by which certain areas of older shoes darken as they absorb oils and shoe care products. Typically this is seen around the toe box and the sides of the vamp. The first process (dying the leather) is relatively permanent and usually done by the manufacturer, although it can be done later by professional shoe refinishers (such as Paulus Bolten in Paris). The second process (applying darker-colored shoe polish) can be done by anyone, and is sometimes done by the manufacturer. It is safer and, if you are unhappy with the results, most often the polish can be removed and the original finish restored. 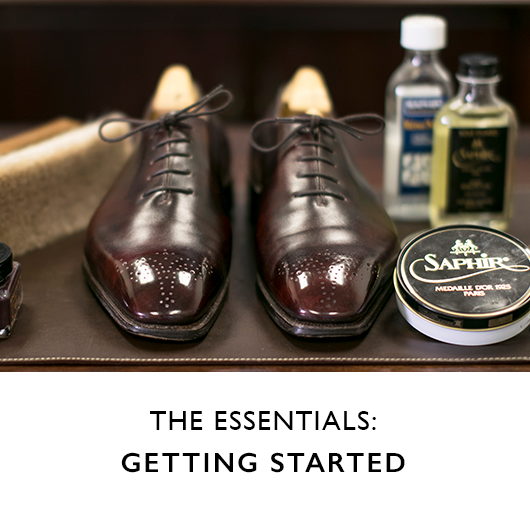 The shoe polish method is the topic of this article. Antiquing with shoe polish has its advantages and disadvantages. The advantages are that anyone can really do it, and it is not difficult to create a good-looking result. If you do not like the results, it is not too difficult to start over by removing the polish. However, because simply removing the polish removes the antiquing, this brings up the disadvantage of the method: scuffs are more noticeable in areas that are antiqued with polish, and you will need to antique the areas that are scuffed as soon as you can to keep the effect. 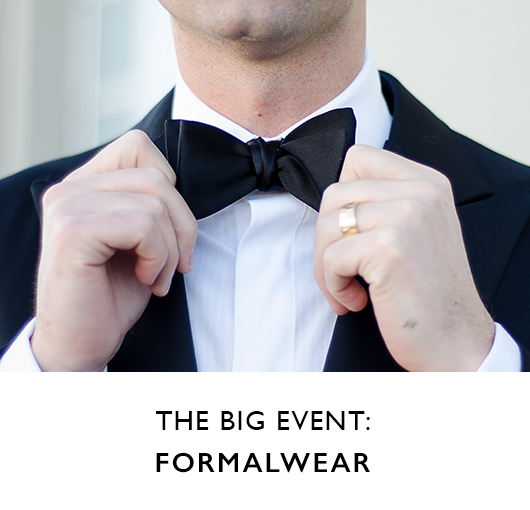 First, you must clean as much of the existing shoe polish off the shoe as possible. 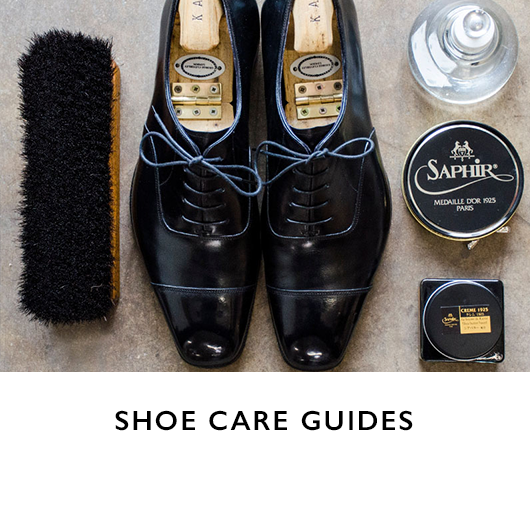 Any good leather cleaner should help with this process, but if there is a lot of wax buildup on the shoe, use Saphir RenoMat will delivery the best results. 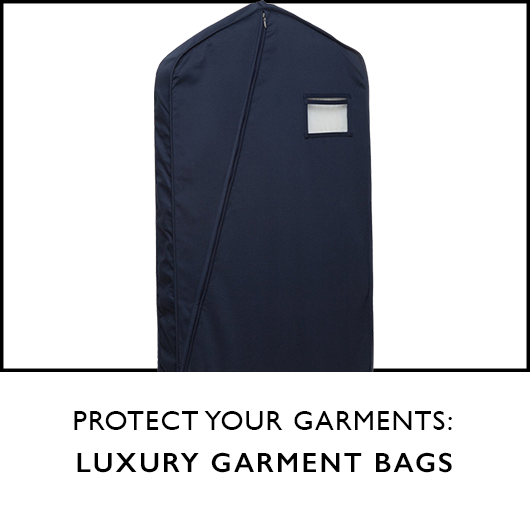 This product is designed to strip off anything placed on top of the original leather and is safe to use on even the finest shoes. The reason it is important to strip off any old wax polishes is that you do not want to fight with a lot of existing polish/wax when you are trying to antique your shoes. 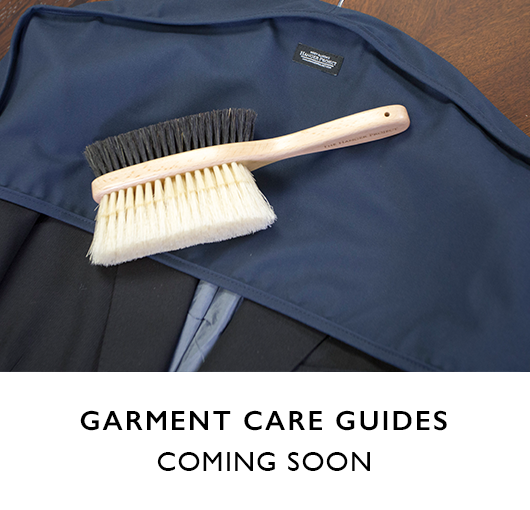 Starting with a clean leather will produce the most consistent and easiest results. 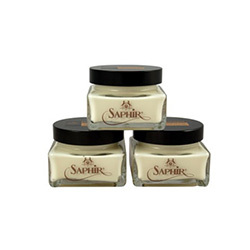 After you strip all of the waxes off of the leather and before you apply pigmented polish, take the opportunity to condition the leather with Saphir Renovateur. 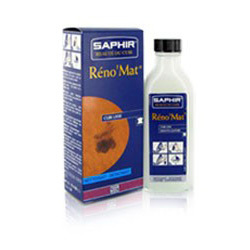 This will nourish the leather with any oils and nutrients that have been lost over time or that the Saphir Reno’Mat removed. 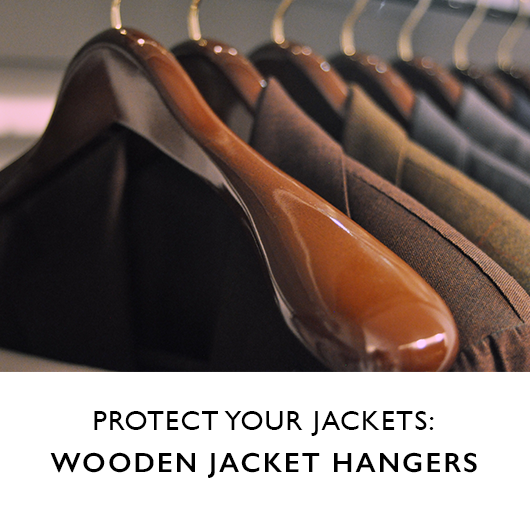 This is a good practice, anyway, as it will prevent leather drying out and cracking. 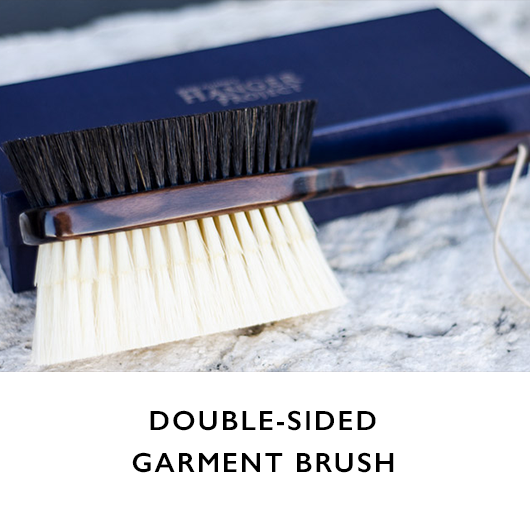 Apply a liberal coat of Saphir Renovateur with a cotton chamois, allow it to dry for a day (if you have time), and then buff off using a horsehair shoe polishing brush. Since the Reno’Mat stripped off all protective waxes from the entire shoe, exposing the original leather, it is important to rebuild a base finish before antiquing your shoes. Since cream polish has more oil and pigments and less wax than wax polish, it best to use cream polish for your base coat. This will allow the polish to fill the small scrapes and scratches with the base color more easily than paste wax. Apply a Saphir Pommadier Cream polish that best matches the original color of the leather to the entire shoe with a cotton chamois. Allow the polish several minutes to dry, buff off with a horsehair shoe polishing brush, and then reapply. 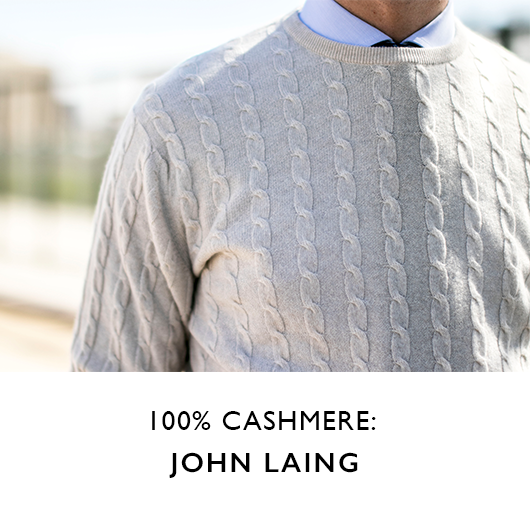 It is best to apply two to three coats in order to build the finish and a layer of protective layers. The areas you wish to antique, apply a Saphir Cream Polish one shade darker than the color you used in Step 3 to darken the shoe. Apply the polish like you would normally, using a cotton chamois to massage the pigments and oils into the leather. Allow the polish to dry, and then buff off with a cotton chamois. Repeat until you achieve the desired darkness. 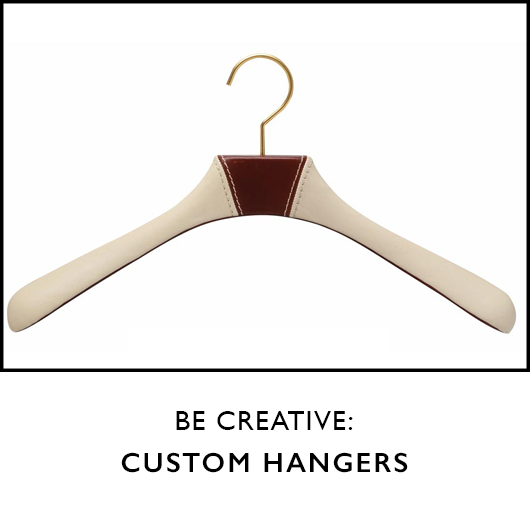 Each successive coat will saturate the leather with additional pigments and oils from the darker polish, causing the leather to antique (darken). The more coats, the darker it will become. IMPORTANT: In order for manual antiquing to appear natural (and look good), it is important to apply the polish to the areas shown below. 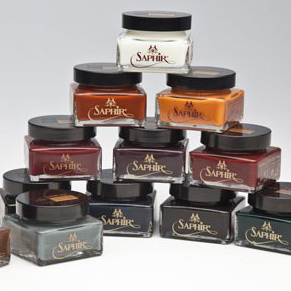 You can use Saphir Wax Polish on the toe box to create a higher-gloss shine. Alternatively, you could finish with a neutral wax polish to create the same high-gloss effect. 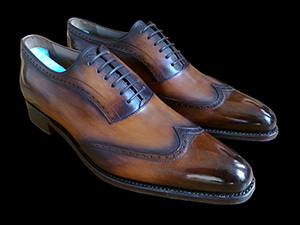 What makes a shoe looked aged (color wise) is in the various shadings of light and dark. On older shoes the darker areas are caused by repeated polishing over wear on the leather as well absorption of oils and dyes on the seams. 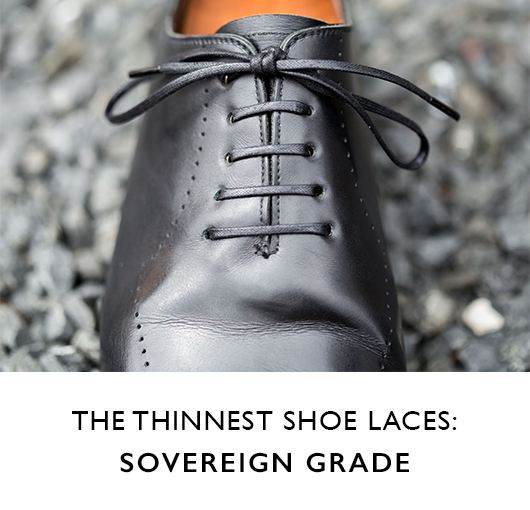 Since the front of the toe of a shoe gets more wear than the top of the shoe cap, the front of the toe of an older shoe will be darker than the top. The same is true of the heel counter on the back of the shoe. To replicate this look on a newer shoe you want to use a darker polish on the front of the toe, the heel counter, and the shoe seams. In order to create the effect of antiquing, you must apply a darker polish to the areas indicated above than the natural color of the leather. 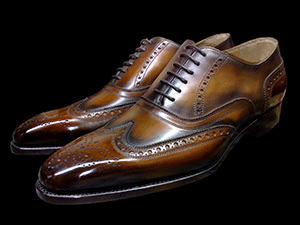 For example, if the shoes are a tan or light brown color use a medium or dark brown polish to create the antique effect. If you have dark brown or burgundy shoes use black to create the antique effect. Don’t worry about using black polish on dark brown shoes. The dyes in shoe polish are relatively weak, and will only add a slight, translucent, darkening effect. Avoid putting on thick coats of paste polish however (even on shoes that you don’t antique). Black shoe can be antiqued, but require lightening areas like the top of the shoe cap, the quarters, and the facing (basically the opposite areas than when antiquing brown shoes, as you are creating the opposite effect). Use Saphir’s Dark Blue and Bordeaux polishes for this effect. 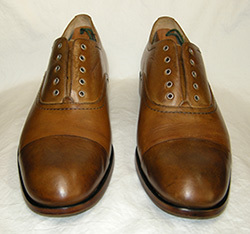 A well-polished shoe should never have more than 6 to 8 coats of polish max. Antiquing is just polishing a shoe using darker (or lighter, in the case of black) colors to create some aged character to the shoes. You can also try different shades of different colors for blending effects if you like. It’s fun to play with, and if you don’t like the results just strip of the polish and start over. There is also a practical side to antiquing a shoe. Once, when I was walking out of a bathroom at the airport, the toe of my shoe caught the edge of a linoleum tile that was slightly raised. The linoleum took a small chunk of the leather out of the front of the toe of the shoe next to the sole. Since the shoes were a medium-dark brown the nick was visible. Applying shoe polish the same color as the shoe only made the nick more obvious, as the exposed leather absorbed the oil and wax more readily than the surrounding finished leather. So, to solve the problem, I antiqued the shoes with black shoe polish. Keep in mind that this did not turn the shoes black, but simply darkened the color a little, and allowed me to add additional black polish to the front of the toe to darken it even more. This gave the shoe a nice antiqued patina, and disguised the nick as well. 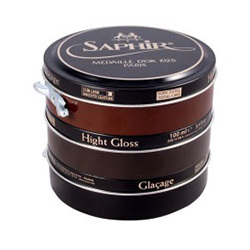 The benefit of antiquing your shoes at home using Saphir Shoe Polish is that if you are unhappy with the results, Saphir’s Reno’Mat Cleaner can be used to strip off all of the polish and return the shoes to their original finish. Shoe Antiquing can be a fun way to dress up a pair of shoes, new or old, by giving them a unique patina or conceal unsightly damage. 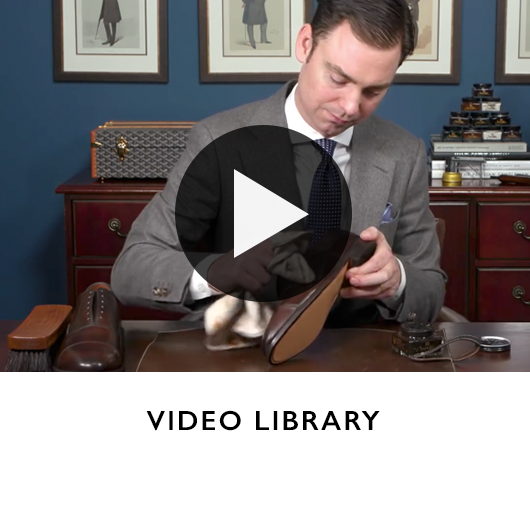 By using items you probably already have at home, you can enhance the patina of your shoes. The more you antique, the more of a feel you will develop for which polishes produce the best patinas.